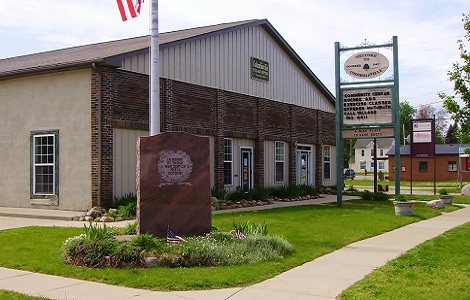 Denise Baker is elected as the Village Clerk and appointed as the Village Administrator. She has a staff of two part-time employees which work rotating days. 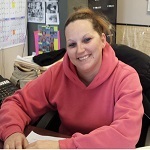 Denise is in charge of all administrative duties required for the operations of the Village. She maintains the Village’s records, manages day to day operations of the Village Office and oversees all additional projects in the Village. 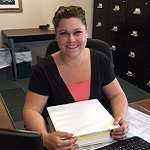 Tonia Plumb was appointed as the Village Treasurer and hired as an Office Assistant on May 22, 2015. Tonia as the Village Treasurer is responsible to collect property taxes and perform all village banking responsibilities. As the office assistant she works directly under the Village Administrator and performs all administrative front office duties. She works two days a week, Wednesday’s and Friday’s. Tonia is also the secretary on the Columbiaville Days Festival Board and volunteers her time before, during and after the festival. 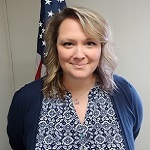 Brandy Miller was hired as the Administrative Assistant in April 2008; she is responsible for Miscellaneous Receivable, Payroll, Utility Billing and various office duties. Brandy works three days a week, Monday’s, Tuesdays and Thursdays. Village Employees understand the importance of municipal accountability; therefore we take great pride in our customer service and this Village as a whole. We are very proud of the Village and will take extra steps to ensure our residents feel the same way. Web Development by Lighthouse PC, Inc.